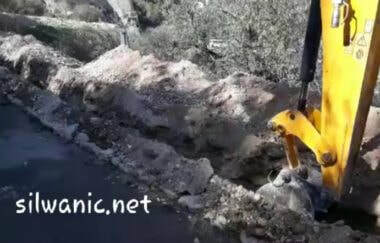 The Israeli occupation authorities are ongoing with the destruction and bulldozing of private Palestinian lands in Ein Jaloud village, south of the northern West Bank city of Nablus, as part of growing construction of an illegal colony. Ghassan Daghlas, a Palestinian Authority official who monitors Israel’s illegal colonialist activities in northern West Bank, told WAFA Palestinian News Agency that the army is ongoing with preparation work, including a new road, a concrete water reservoir and new units on Palestinian lands on the hilltops of Jaloud. He added that the colonialist settlers have already installed a large tent, and several wooden rooms in that area. Daghlas also stated that the army, and the colonists, are ongoing with preparation work to expand the illegal colonies in five areas in Nablus, especially the expansion of Shvut Rachel and Amichai colonies. He also said that the colonies and outposts which were illegally built on the southern and eastern areas of Jaloud, have been witnessing a serious and dangerous escalation of illegal colonialist constructions, as Israel plans to create a colonialist bloc in an area of more than eight square/kilometers of lands owned by Jaloud villagers, in Area C of the occupied West Bank. All of Israel’s colonies and outposts in the West Bank, including in and around occupied East Jerusalem, are illegal under International Law, the Fourth Geneva Convention, to which Israel is a signatory and a constant violator, in addition to various international treaties and agreements. Hebrew sources have unraveled an Israeli scheme to expand the illegal settlement outpost of Migron, build on Palestinian lands in the central occupied West Bank province of Ramallah. According to the Israel Hayom daily, Israel’s Minister of Housing and Construction Yoav Galant will present the expansion bid for final approval by the Israeli government. The bid also includes a plan to double settler houses in Shevot Rahil settlement, in Nablus. Israeli settlers who were evacuated from Migron outpost some six years ago, following a verdict issued by Israel’s Supreme Court on account that the land belongs to Palestinians, will benefit from the expansion. Other apartments are slated to be built for the formerly evacuated Israelis in the aforementioned outpost. After Israel’s settlement expansion has devoured the bulk of Qaryut town in southern Nablus, especially in Area C of the occupied West Bank, settlers’ eyes are now directed at Area B in order to steal the remaining tracts of land from this settlement-afflicted town. What has exposed Israel’s settlement expansionism in Area B is the attempt of the municipal council of Qaryut to build an agricultural road leading to the Palestinian area of Batisha in the west of the town and near the illegal settlement of Eli. Just immediately after the town’s municipal council embarked on carrying out the road project, dozens of Jewish settlers attacked Palestinian workmen and physically assaulted them, and later Israeli soldiers intervened and forced the workers to stop building the road and leave the area with their equipment. Less than a week later, the road workers returned to the area to resume their work, but Israeli forces stormed the site and forced them again to leave at gunpoint. The area of Batisha in Qaryut contains vast tracts of land that are planted with olive trees, and it is considered the only remaining agricultural area which Qaryut residents can reach almost freely because it is located in Area B, which is under the Palestinian civil jurisdiction according to the classifications stipulated by Oslo Accords. Qaryut is located about 26 kilometers to the south of Nablus and its total area is approximately 20,000 dunums of land, of which 14,000 dunums are located within Area C according to Oslo Accords. However, the residents of Qaryut are allowed to build only on 360 dunums of land. It is one of the Palestinian towns and villages that are systematically targeted by the Israeli occupation state and Jewish settlers. 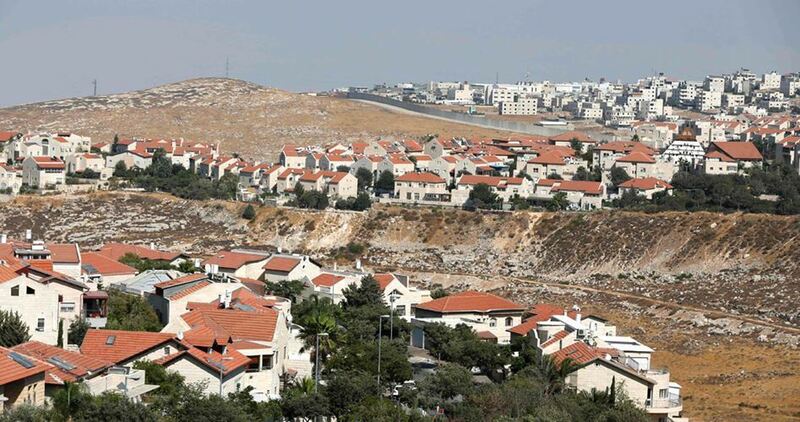 Thousands of dunums of its land have been seized to build and expand illegal settlements. Israeli settlements encircle Qaryut from all sides and they keep encroaching into further territory, eliminating any possibility for the native population to expand their residential and agricultural areas. The settlements built on grabbed land in the town are Eli, established in 1984, and Shvut Rachel, 1995, and Shiloh, 1979. There are also the outposts of Hioval, Givat Ariel, Kida, and Adei Ad. These settlements and outposts devoured 65 percent of the total area of Qaryut (about 14,000 dunums of land). Such systematic settlement expansion and activity in Qaryut and its nearby areas are aimed at forcing the native population to migrate in order to connect the three settlements in the town with each other and make them one huge settlement bloc extending from Ariel settlement to the Jordan Valley in the east. 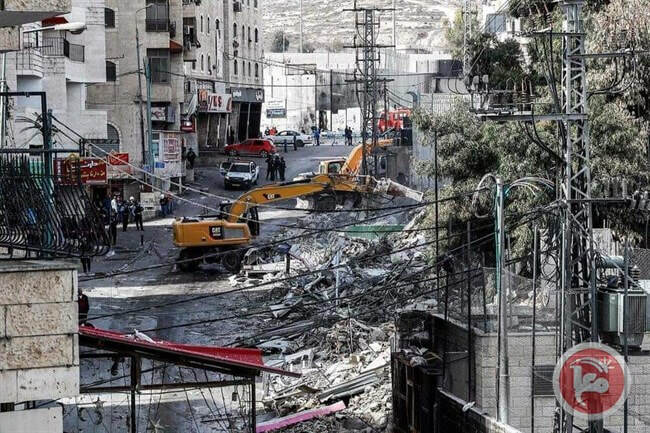 The European Union (EU) condemned, on Saturday, Israel’s demolition of around 20 Palestinian-owned structures in Shufat refugee camp in occupied East Jerusalem, as well as the continued Israeli settlement expansion in the city. 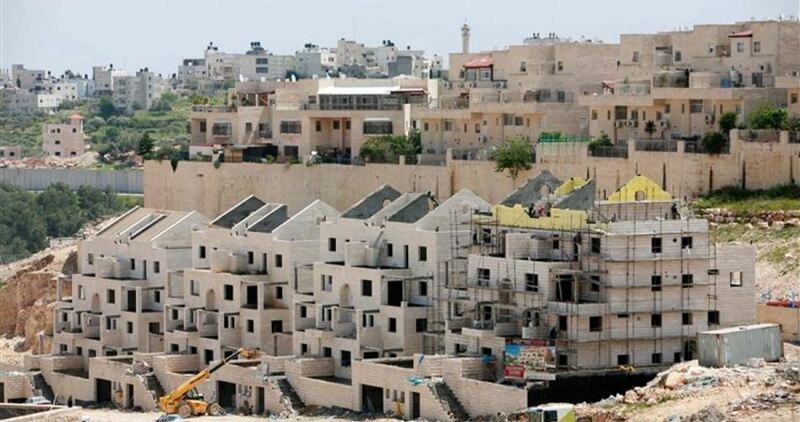 Israel is planning to build a settlement belt around the occupied city of Jerusalem, in order to increase the Jewish population density, at the expense of Jerusalemites within the “Holy Basin” project, experts on Jerusalem affairs have said, according to the PNN. In the second and third legislative readings, the Israeli Knesset approved a bill allowing the construction of houses and residential units in areas that had recently been deemed national parks in Jerusalem. 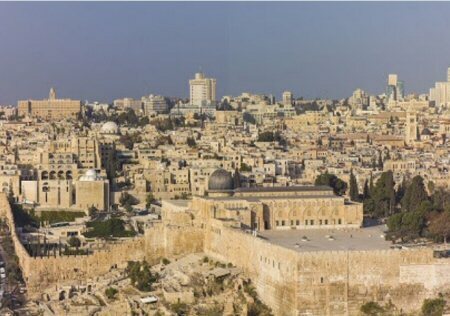 This law, according to Jerusalemites, allows the Elad settlement association to build within public parks near Al Aqsa Mosque, which is called the “City of David” National Park, in the Silwan neighborhood. The National Parks Law was issued in 1974, where the Israeli side controlled hundreds of dunams in the Old City of Jerusalem and was included in the municipality’s ‘tourist’ areas. The authorities did not grant any building permits in these parks throughout this period. Despite this, members of the Knesset saw the settlement expansion bill into the national park pass with a voting turnout of 61 votes of approval to 41 votes rejecting the bill. “The Judaization operations taking place in the city of Jerusalem come within the framework of a plan supervised by the government, the municipality of Jerusalem and the settlement associations to build a settlement belt around the city for 50 kilometers to increase the Jewish population density,” said Jamal Amro, a Jerusalem researcher. “The Holy Basin is part of the Greater Jerusalem project, which aims to increase the area of ​​the city from 126 square kilometers to 800 kilometers by 2022, including changing the demographic reality in the city,” he said. In an interview with Arab21, Jerusalem affairs expert, Al-Maqdisi, said that “to expedite the implementation of this plan, the municipality of the occupation is practicing a form of discrimination between Jews and Palestinians. This is done by removing all obstacles to building any property for Israeli citizens, compared with 16 years to give approval to the Palestinian citizen of Jerusalem. Municipal revenues from taxes and fees for Jerusalemites are estimated at 170 million dollars annually, compared to 60 million dollars collected from Jews, although the proportion of the population in the city is two-thirds to one-third for the Jews”. In the same context, the head of the Islamic Christian High Commission in Jerusalem, Hanna Issa, says that “the Israeli occupation government increased the settlement activity during the year by 1000 percent, accompanied by the increase of the settlement budget by 600 percent, and the number of outposts in Jerusalem to 500, which is the largest figure since its occupation in 1967”. To add to the problem in protesting this expansion, member of the Jerusalem Committee in the Legislative Council, Samira Halayqa, pointed out that “the city of Jerusalem lacks formal and popular forms of solidarity due to the Israeli occupation’s measures that prevent the deputies of the Legislative Council from entering the city, which also prohibits any forms of protest under the pretext of security risks”. 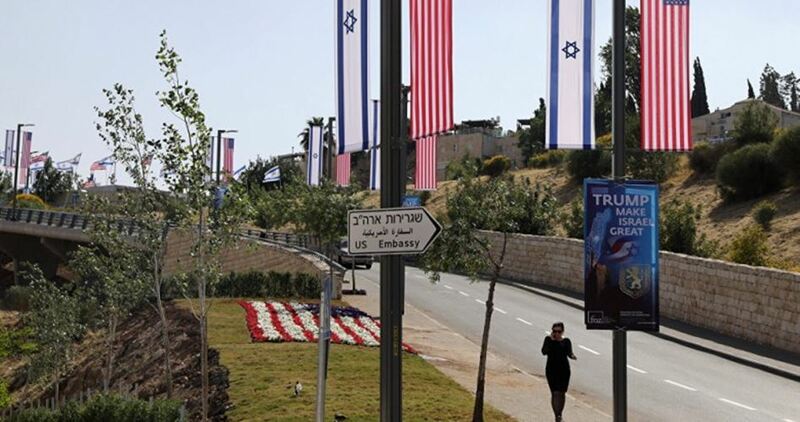 Israel’s Jerusalem mayor Nir Barkat approved a construction permit to expand the U.S. embassy in occupied Jerusalem, according to the municipal spokesperson's office. "I am happy and proud to approve the expansion of the United States' Embassy," Barkat claimed. "The move of the embassy to Jerusalem was a historic step by President Trump that made clear to the entire world that Jerusalem is the eternal capital of the State of Israel." The permit allows the embassy to add 700 square meters to its complex, of which 350 square meters will be below ground. The addition will serve as office space for the embassy's planned expanded workforce. The Israeli Knesset has approved on Monday evening the second and third readings of legislation that will allow the further expansion of a Jewish-only settlement in occupied Jerusalem’s Silwan neighborhood, located south of al-Aqsa Mosque. According to Haaretz newspaper, the law allows new settlement units to be erected inside an area recently designated as a "national park". Both readings were approved late Monday by a vote of 63 to 41, the paper said. The initiative is being spearheaded by pro-settler group Elad, which is known for promoting the confiscation of Palestinian property in occupied Jerusalem to make way for the construction of Jewish settlements. International law continues to view occupied Jerusalem, along with the entire West Bank, as "occupied territories" and considers all Jewish settlement construction as illegal. 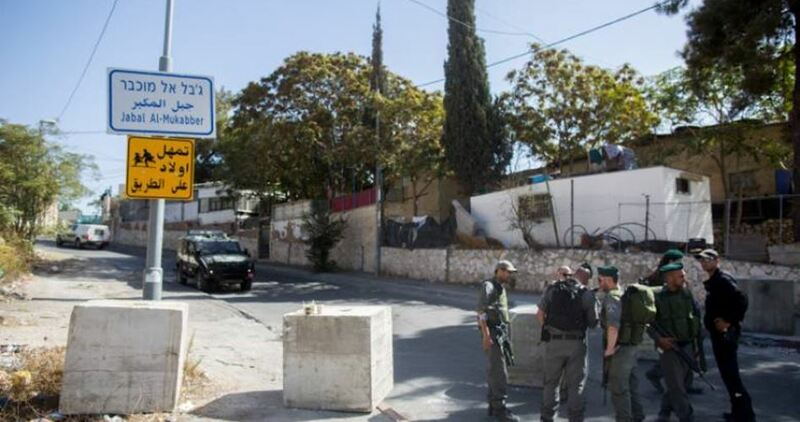 The Israeli municipality in Occupied Jerusalem has announced a plan to build a hotel on the hills of Jabel Mukaber neighborhood in southeast of the holy city. The plan was approved for deposit (the first approval in the Israeli planning process) and will be part of a project to build a series of hotels overlooking the Old City of Jerusalem. The total number of rooms in the planned hotels will be 20,000. Palestinian land expert Khalil al-Tafkaji warned that this hotel and the whole project would devour the mounts of southern Jerusalem and noticeably reshape the southern area, adding that the hotels would also be built at the expense of Palestinian lands in as-Sawahira and Sur Baher towns. 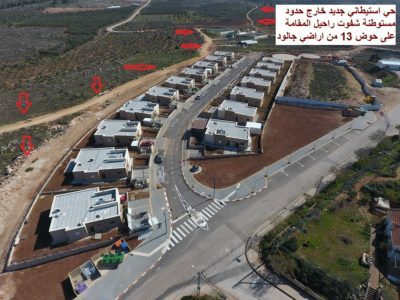 Tafkaji also pointed to the presence of Israeli plans to build housing units and public facilities, including a kindergarten and synagogue, in Jabel Mukaber area. He added that the Israeli municipality intends to embark on building special facilities used for the management of light rail in northern Jerusalem and Shu’fat neighborhood. Israeli settlers bulldozed on Monday morning Palestinian lands in the northern Jordan Valley to give way for illegal settlement expansion. Activist Aref Daraghmeh said Israeli settlers showed up in al-Mezoukeh Hamlet in the northern Jordan Valley and leveled Palestinian lands. Israelis residing in nearby illegal settlements continue to prevent local Palestinian farmers from reaching their lands and raising their livestock, as they sought to grab hold of Palestinian lands in favor of illegal settlement expansion.